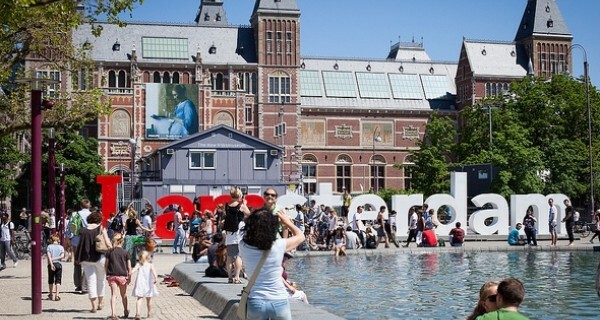 Amsterdam Smart City (ASC) launched in 2009 as a cross-sector drive to increase Amsterdam’s sustainability and radically reduce its carbon emissions. Unlike other ‘smart cities’, ASC’s main focus, and tool, has been an open innovation web platform: specifically so that change can be collaborative and participatory, rather than imposed on citizens from above. It was launched by a small group including the city’s Economic Board, but has quickly grown to 70 partners, coming from business, government and civil society. The group coordinates and directs these partners’ collaborative action: channels investment, tests products, services and approaches, most of them originating from SMEs, then encourages the scaling and replication of successful projects. Schemes have included a platform for friends and neighbours to share cars, another to crowd-source policy ideas, a project to supply households with renewable, windmill, energy; and the city’s Department for Infrastructure, Traffic and Transport has started to publish all its data online: showing everything from live traffic updates and parking to cycle paths so citizens can make smarter transport choices. The Amsterdam Smart City project is a key agent in Amsterdam’s goal to become one of the world’s most sustainable cities by 2040.